Heirlooms are plants that produce seed that is true to type, which will in turn produce plants that are the same as the parent. They are varieties that have stood the test of time, the seed being passed down from generation to generation of gardeners, often within a family (hence the term ‘heirloom’). So what are the advantages of heirloom plants? By choosing to grow heirloom varieties you are helping to conserve genetic diversity. They’re tough. Heirloom plants have survived for generations, which means they can handle disease and sub-par conditions. 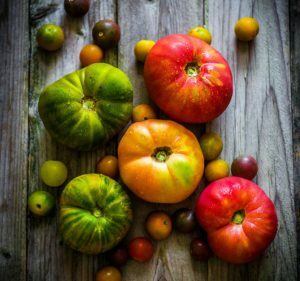 The flavour – this is the number 1 reason why gardeners choose heirloom plants – they taste beautiful! They’re more nutritious. Many hybridised plants have been developed for higher yields, at the expense of their nutrition content. You can save your seed and still get true-to-type plants next year. Some heirloom varieties are less uniform, meaning that the fruit will ripen at differing times, for a more gradual supply of fruit. They’re cheaper! Heirloom seed is often cheaper than hybrid seed. You’re carrying on a story. Many heirloom plants have a lovely family story, and you’re keeping that story going. 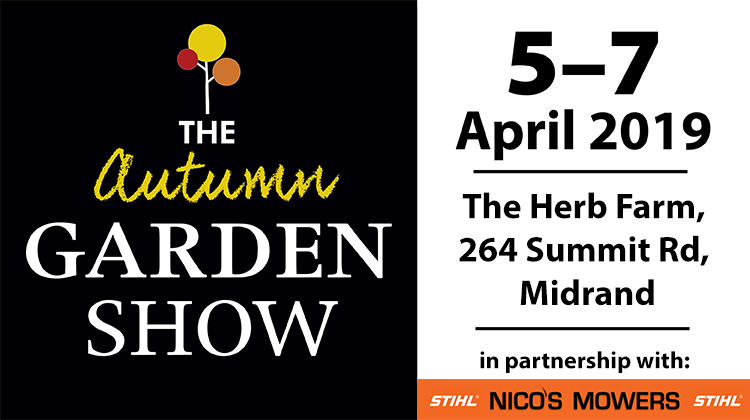 If you are interested in knowing more about heirloom tomatoes, visit The Autumn Garden Show at The Herb Farm and speak to the experts, and you can also enjoy an heirloom tomato tasting workshop.